19-karat yellow gold bezel with hammered finish. 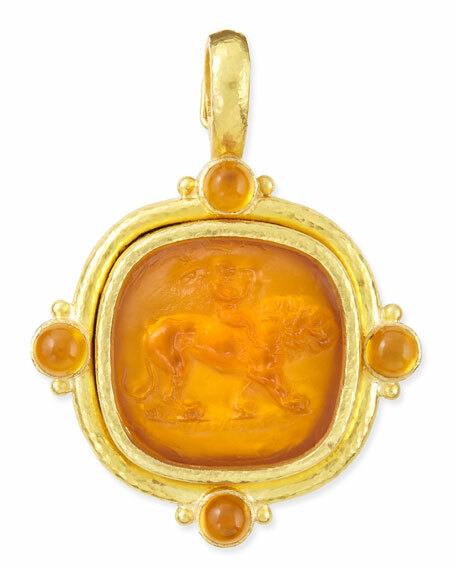 Amber Venetian glass pendant with Cupid Riding Lion intaglio and mother-of-pearl backing. Four 5mm citrine cabochons; 2.83 total carat weight. 49.5mm x 37.51mm (approx. 2"L overall).